Conveniently located, this mountain home is nestled in the forest above the center of Graeagle within walking distance of the grocery store, and Mill Pond, shops, horse back riding and more. There is plenty of parking. Amenities include a fully equipped kitchen and all towels and linens. You can barbeque and party on the large deck and retire to the game room and regulation pool table. Very warm and cozy! Close to everything! 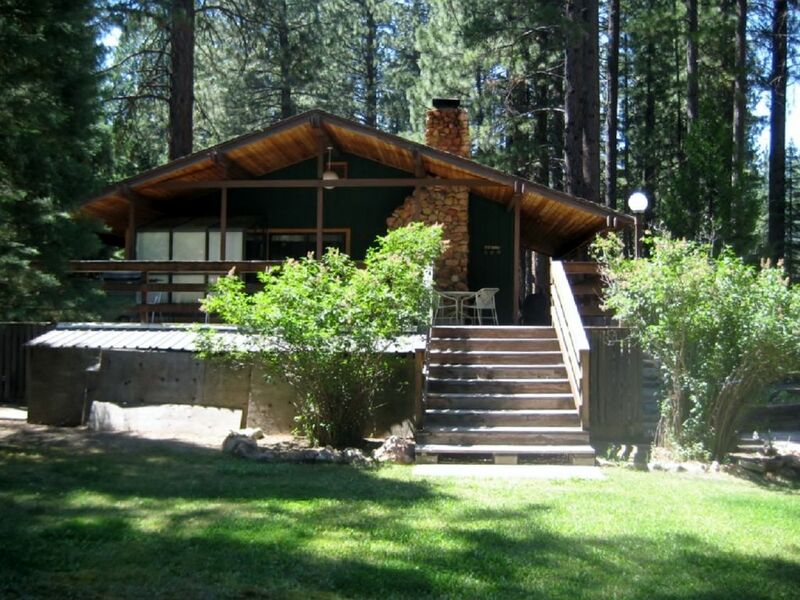 It was a well furnished house/cabin to stay at in the heart of Graeagle. We had everything we needed. richard L ( Rick ) a.Roseville Ca. USA. Wonderful, everything needed was there. The surronding grounds were very peaceful. Relax environment. The manager Wendy responded quickly to a minor concern. We want to return their next year. It made our anniversary perfect. The owner Lloyd has touched my heart. I enjoyed the few phone calls. He gave us great information, to help enjoy our stay. Quiet well kept classic cabin nestled in the forest. Close to lakes and other recreational activities. Enjoyed out stay and will return next year. Very nice and accommodating. We had a great time and enjoyed the house and area very much. Beautiful area. We had kids and could have used a TV downstairs, but other than that, the home was very spacious and perfect for our needs. This vacation home is not only warm, clean, and fully stocked, but it's set in a gorgeous area. The owner and his property manager make sure everything is ready for your arrival, and just in case anything is missed (which it wasn't) they are just a phone call away. So many trees, so much space to walk, and the tiny town of Graeagle is so cute with good shops, stores, and restaurants. Do not miss the trail around the Mill Pond, Cuccina & Grizzly Grill Restaurants, the Graeagle Grocery Store, and driving around the surrounding towns. A great getaway just 4+ hours from the Bay Area. Rental season May -October, nightly rate $150/night up to 4 people, $25/night each additional person. 2 night minimum, deposit $200. Pet fee $25 per pet, $100 refundable pet deposit.